Warmly decorated spacious rooms accompanied with a conference room and a banquet hall for a comfortable experience. 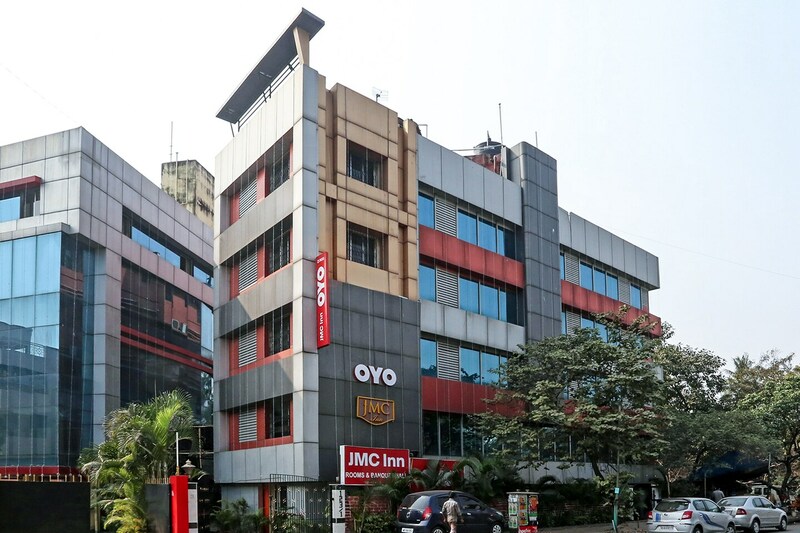 Located at Bose Pukur Main Road, JMC Inn is a pleasant hotel with a refreshing interior decor and a warm ambience. The external structure of the hotel has light reflecting glass panels and a colorful appearance. The bedrooms at the hotel have bright pastel colored walls and dark wood furnishings, lending the rooms a bright and cheerful ambience. The rooms also have large windows that let ample sunlight stream in and allow the guests to enjoy the view of the city. The hotel has a conference room, a banquet hall and a living room available for the guests to make use of during their stay. The hotel provides its guests with free Wi-Fi and power backup so that they can remain connected with the social world. Other amenities offered by the hotel are a geyser, an elevator, laundry service, CCTV cameras and a card payment option. Science City More, Adi Ganga, Nature View Assam, and Eco Fresh Air Park are some of the tourist spots located close to the hotel along with a number of restaurants.